Rev. Bill Behringer, S.M., officially was installed as director of Casa María during community Mass on the Solemnity of the Assumption of the Blessed Virgin Mary, Thursday, August 15, 2013. 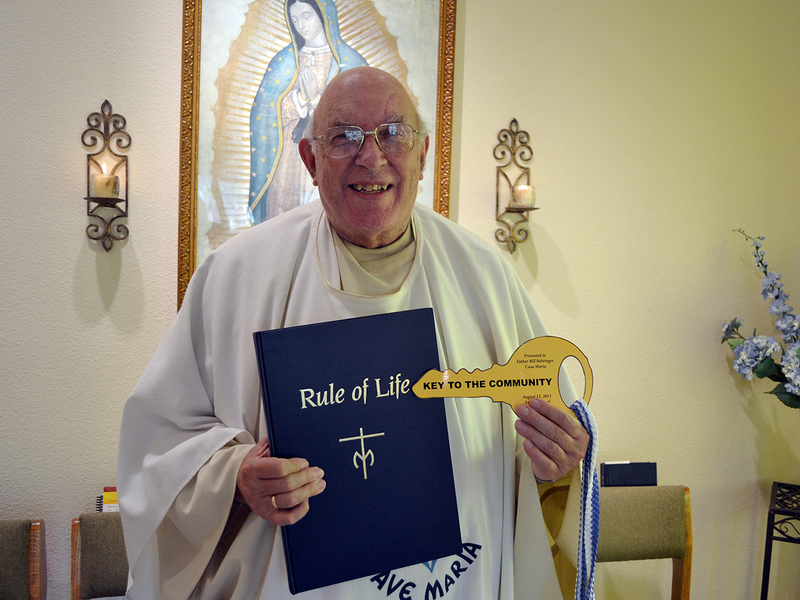 Brother Dennis, the outgoing community director, presented Bill with the Rule of Life of the Society of Mary and the Key to the Community as part of the official installation rite. Blessings and best wishes to Bill as he begins his three year term as community director. This entry was posted on August 15, 2013 at 6:36 pm and is filed under Community News. You can subscribe via RSS 2.0 feed to this post's comments. Both comments and pings are currently closed.